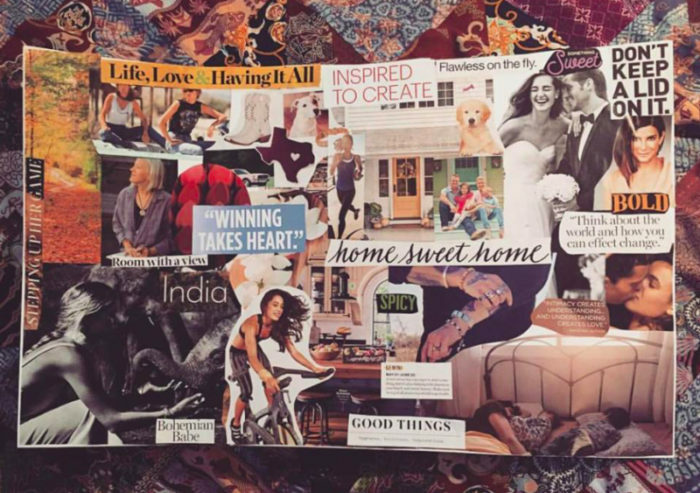 Think you know everything there is to know about VisionBoarding? Think again. These integrative, soul-expanding workshops are WAY more than just pasting pretty pictures on paper. Based on fundamental scientific principals involving energy flow, human psychology, and the power of dynamic goal setting, I designed Reset, Renew, Recharge: VisionBoard Retreat to tap into your intuition, honor your innermost desires, and vividly visualize your ideal future. You already have the innate power to make amazing sh*t happen. By using my 5 step process, we can Crystalize your Vision, Set your Goal, and Achieve Success. Let me teach you how to unlock that hidden energy source within you– your incredible ability to achieve, to heal, to get exactly what you want–and move into the next phase of your life with confidence, a clear sense of purpose, and an intuitive roadmap to get you where you want to go. It’s officially YOUR turn to create your life, not just react to it. And the good vibes don’t there. You get me one-on-one for customized coaching! Each workshop admission includes one complimentary Board to Bliss session with yours truly. Post-workshop, we’ll have a virtual one-on-one to talk about your workshop experience, your vision, your unique VisionBoard, and your ultimate goals. Then we’ll fine tune your action plan for the year ahead, so you’re ready to embark on your journey, and you’re equipped with the tools to get you exactly where you want to go. I honestly was not thrilled to even do the VisionBoard workshop because I didn’t think I would benefit from it, but boy was I wrong!